Ben Hall is an NHS nurse and a trade unionist. He lives in Haywards Heath with his wife and daughter. 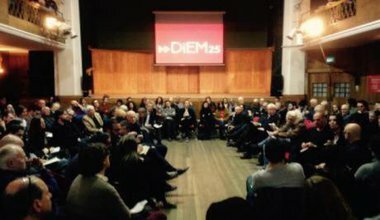 He is co-founder of the Brighton & Hove DSC of Democracy in Europe Movement 2025 UK (DiEM25UK). Every member of our pan-European movement – English, Welsh, Scottish, Irish, French, Greek etc – got to vote on the UK parliamentary candidates we will support, with some surprises.